St. Barnabas has been recognized by the U.S. Secretary of Education as a National Blue Ribbon School of Excellence. The Blue Ribbon Schools Program honors public and private elementary, middle, and high schools that are academically superior. 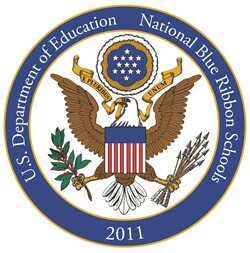 Each year only 50 private schools across the country are given the Blue Ribbon distinction. St. Barnabas School received this honor based on student academic achievement which ranks in the top 10 percent of schools in the nation in reading and mathematics as measured by an assessment referenced against national norms.